Dr Vora has always strived for best clinical practises based on scientific evidence. Dr Vora has always been actively involved with clinical research work to improve knowledge and skill of medical fraternity for betterment of human kind. He has nearly a decade long experience of working in the UK. He has nearly a decade long experience of working in UK. He has received five years of higher specialist training in Paediatric Neurology at Nottingham University Hospitals, Nottingham, UK and Royal Hospital for Sick Children, Edinburgh, UK. He was awarded CCT (Certificate of Completion of specialist Training) in Paediatric Neurology by Royal College of Paediatrics and Child Health and PMETB, UK. He has received 12 months intense specialist training in complex epilepsy for consultants Post CCT Complex epilepsy Fellowship at Great Ormond Street childrens Hospital, London, UK. Dr Vora holds MRCPCH (UK) and FRCPCH (UK), M.D (Paediatrics), D.Paed and M.B.B.S. He graduated from NHL Medical College, Gujarat during which he received three Gold medals and obtained his postgraduate training in Paediatrics from B J Medical College, Gujarat where he was first in Gujarat University. His papers have been presented in many international scientific conferences including American Epilepsy Society (AES), International League Against Epilepsy (ILAE), European Paediatric Neurology Society (EPNS) and British Paediatric Neurology Association (BPNA). 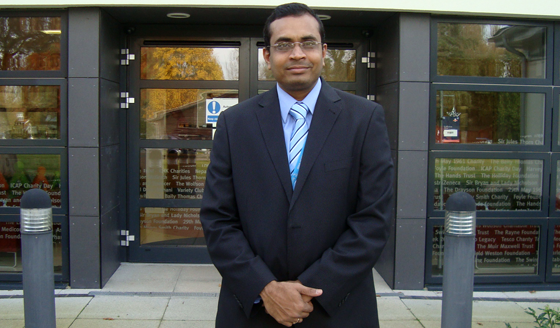 He is faculty for Paediatric Epilepsy Training (PET) for UK and Europe.